The Cryptographic Challenges sponsored by RSA Laboratories have given some members of the computing community an opportunity to participate in some of the intrigue involved with solving secret messages. 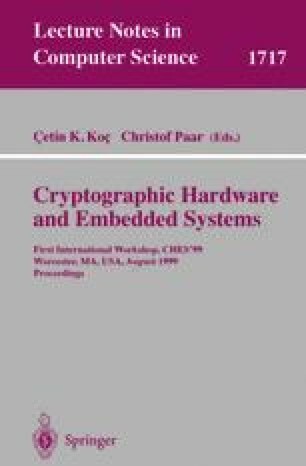 This paper describes an effort to build DES-cracking hardware on a field-programmable system called the Transmogrifier 2a. A fully implemented system will be able to search the entire key space in 1040 days at a rate of 800 million keys/second. Thanks go to Marcus van Ierssel and Dave Galloway for keeping the machines running. The Transmogrifier project benefits from the support of Micronet, a National Centre of Excellence in Canada, ATI Technologies, Altera Corporation, Cypress Semiconductor, and the Natural Sciences and Engineering Research Council of Canada.